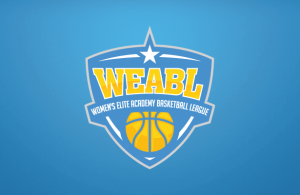 John Madejski Academy recorded their second win of the WEABL campaign on Wednesday afternoon as they beat Loreto College 71-59 behind a huge 32 point haul from Paula Romero Tarrega. JMA started the game the brighter of the two teams and opened the encounter with a 12-4 run to establish an early lead and one they would hold at the end of the first quarter as they led the game 19-13 after the first ten minutes. The home team then took command of the game at the beginning of the second quarter as a 14-2 run put them firmly in control at 33-17. The away team had a quick 5-0 flurry to reduce the arrears to 11 but JMA ended the half on top once again with a 9-2 run heading into the locker room ahead by 18 points, 42-24. This turned out to be JMA’s biggest lead of the game as Loreto came back into proceedings as they chipped away at the deficit pouring in 20 third quarter points to JMA’s 15 and headed into the final ten minutes 57-44 behind their opponents. The fourth quarter was a nip and tuck affair as Loreto got as close as nine points at 64-55 but that was as good as it got for the visitors as JMA closed out the final stanza to take a well deserved victory winning the game 71-59. Supporting Paula Romero Tarrega’s huge 32 point outing was Elena Palacios Amaral who had 16 and Saffie Jarju who had 12 for JMA. Loreto were led by Lina Asobirionwu and Fiona Connolly who had 17 points apiece whilst Silvia Okuonghae chipped in with 14 for the visitors. JMA are back in action next Wednesday 7th March when they travel to Ipswich to take on Copleston High School before hosting Charnwood College in their final regular season game on Friday 9th March whilst Loreto College will travel to Myerscough College on Wednesday in their final regular season game also.